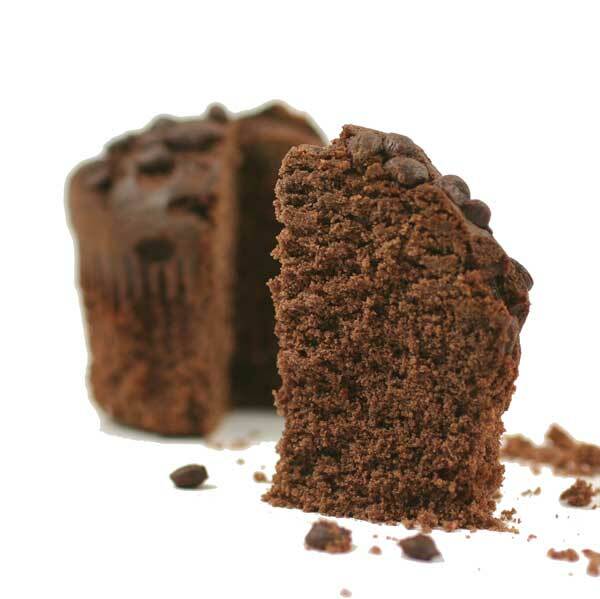 If they like chocolate then this is a real treat for them - packed with 4 delicious double choc giant muffins, ideal to send to a group to share or just someone with a sweet tooth! To get a gift for no particular reason is the best kind of gift to receive..it shows someone cares! If you want to thank a small group of people or a family, this also makes the perfect package, with 4 treats, all the same, so no arguing! I have recently had the pleasure of eating these delicious muffins, and OMG they were the most delicious muffins I have ever eaten. I didn't buy them but they were bought for me for my birthday by a good friend, well after this prezzie then she might very well be elevated to an even better friend. They were well packaged, not squashed or damaged in any way. The muffins are a very chocolatey flavour (yes I know they are chocolate anyway but some chocolate muffins seem to be choc in colour but not taste0. There were plenty of choccy pieces in them for a nice munchy texture. Oh and after tasting the first one I hid them and didn't share.